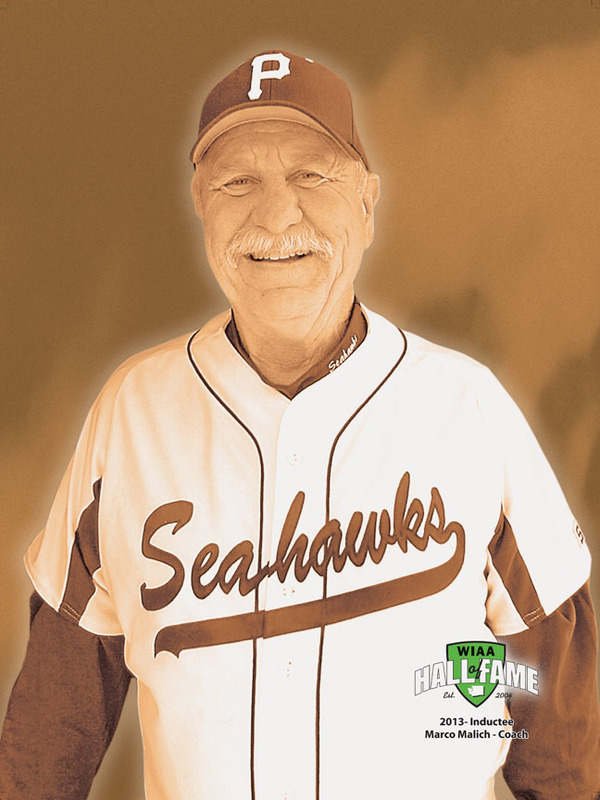 Marco graduated from Peninsula High School in Gig Harbor, Wash., in 1959, where he was a member of the varsity football, basketball and baseball teams. After high school, Marco played semi-pro baseball in Alaska and then was recruited by the Heidleberg Slow Pitch Team, which he played in 7 National Tournaments. Marco began his coaching career as a volunteer for the Peninsula Athletic Association (8 years) and Peninsula Youth Football (5 years). He coached baseball at Goodman Middle School (1976-79) before accepting the assistant football coach (1979-2001) and varsity baseball head coach (1980-2012) positions at Peninsula High School. During his baseball coaching career his teams won 14 League Championships, winning 439 games. Marco was named Washington State High School Coach of the Year (2006) the same year the Seahawks appeared in the 3A State Baseball Championship at Safeco Field. Marco is a dedicated coach, teacher, leader and role model to the student-athletes at Peninsula High School. A leader by example, Marco possessed the ideals of character, service and leadership. He went above and beyond to help less fortunate student-athletes who couldn’t afford shoes, equipment, or pay participation fees. A man of integrity, Marco treated his players as if they were his own children. He developed his players into young men by being a servant leader and became more than just a coach to the Peninsula community.